DESIGN BACKGROUND: This has been a popular conversion for early-model 3–cyl’s because of the Advanced / Retard curve function available after 1979. The Early CDI’s were “STRAIGHT-CURVE”, or basically no ignition curve. The 79 & later stator / CDI combination provided the much needed timing curve which provided much better overall engine performance. 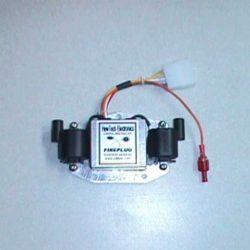 The FIREPLUG CDI is compatible with the factory stator harness. 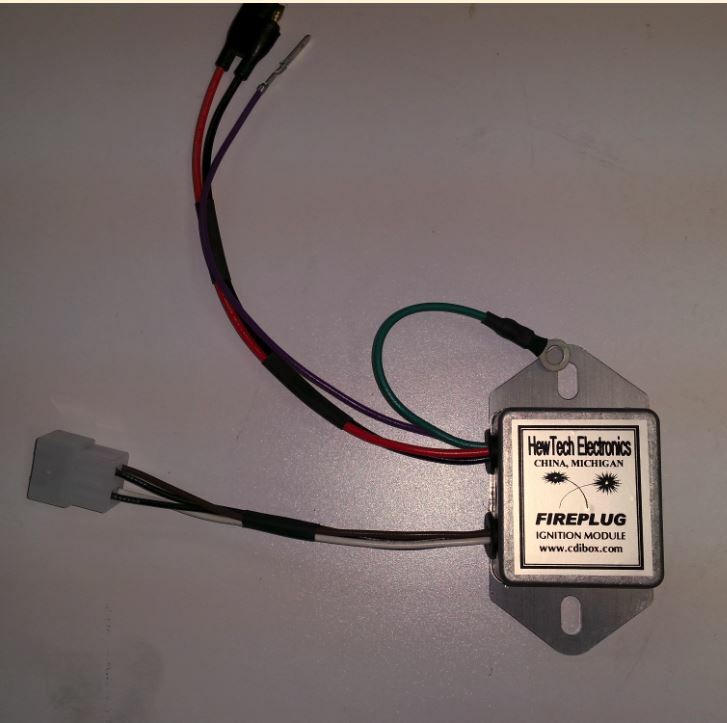 PERFORMANCE: The FIREPLUG CDI is a High-Performance replacement CDI for your Polaris sled. The FIREPLUG CDI provides a higher energy output, that outperforms the stock CDI in reliability and performance. This translates to quicker starting, better throttle response, stronger pull & cleaner burning. 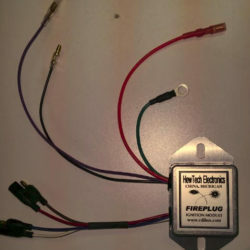 The FIREPLUG CDI connects directly to your factory harness. The FIREPLUG CDI is manufactured using the best industrial-grade components available. The FIREPLUG is not a high-volume / mass-produced imported device. 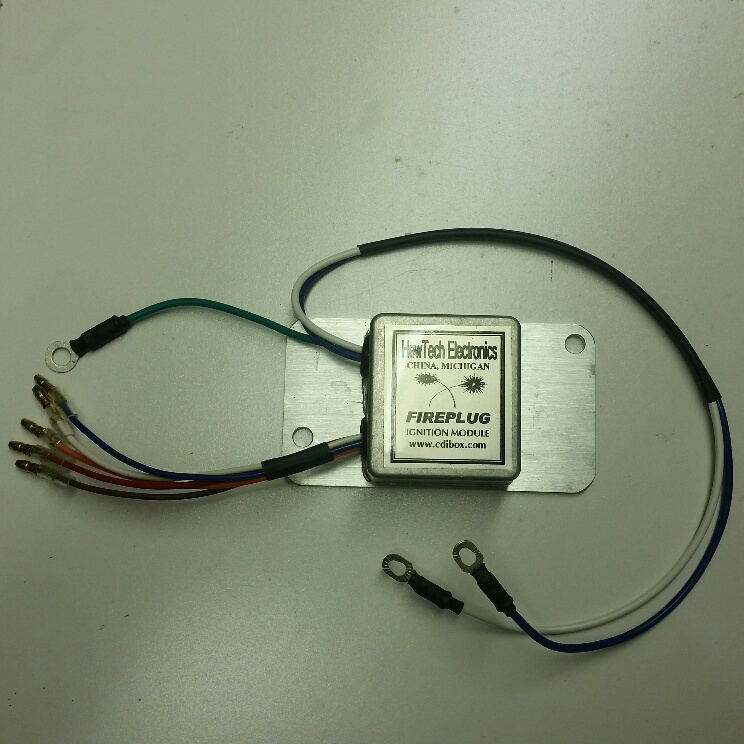 Every CDI unit is manufactured at HewTech Electronics in Michigan, tested and shipped directly to you. It doesn’t exist until an order is received. 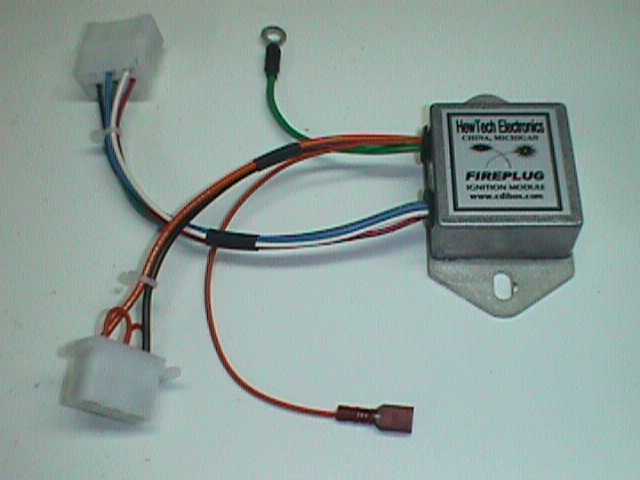 Ask anybody currently running our FIREPLUG CDI ignition units. Thanks to Kurt Andrews for his Testing & Evaluation of the Polaris Triple CDI. The Polaris ignition systems really have a great timing curve. To get those curves, components inside the CDI box & stator must work together. Be sure you have the correct stator & flywheel from 79 and later. Be sure the stator model matches the flywheel. USE B8ES or B9ES SPARK-PLUGS: Do not use the BR-type resistor plugs. The resistor limits energy to the gap. Doing away with NGK resistor caps and replacing with direct-contact (non-resistor) caps / copper-core wires will also allow more energy to the plugs. CLOSE THE PLUG GAPS: Ideally, you want as wide of gap as possible, without misfire. Typical for this ignition with race-fuel is 0.019″~0.020″ spark-plug gaps. When extremely cold outside, try a blend of good grade of PREMIUM fuel (non ethanol, like SHELL ULTRA) with your race-fuel. Race-gas is very high octane. The higher the octane, the higher the flash-point. Lower temperatures also increase the flash-point. The combination of race-fuel and cold temperatures, the higher-compression engines require additional energy to the plugs to fire the fuel. If the fuel takes longer to light up, this is just like retarding your ignition timing. Your engine will be hard starting in cold weather also for this reason, since the cold / high-octane fuel is difficult to fire. A blend will keep things lighting up where they should & it’s like advancing the timing & letting the fuel fire under the cold conditions. Try it & check your jetting! Most engines will like the blend better if compression is not over 160 PSI.